Around 1928, Italian Prime Minister Benito Mussolini was at the eye of a gathering storm in Europe and Northern Africa. That same year, 25-year old Cesare Rene Grimaldi left his native Rome in search of a new life. It is not known whether he left to escape Mussolini’s tyranny or to seek the American dream, but he boarded a ship for New York, landing there on April 11, 1928. 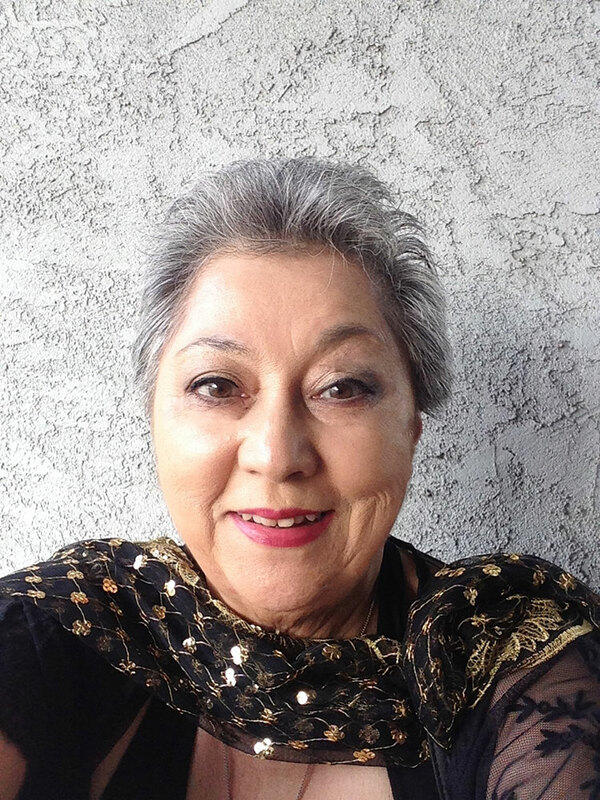 College educated with an ability to speak Italian, English, Spanish, and French, Grimaldi was admitted to the United States legally under an immigration quota and secured a position with the Italian consulate. While working for the consulate in Los Angeles, he met California-born Corrine Ross Harris. They were married on July 26, 1938 and three years later had a son whom they named Gian. Attracted by the emerging Hollywood film industry, Cesare left the consulate and found work as personal assistant to a movie director. Widespread fear, mistrust, and hysteria, triggered by the Dec. 7, 1941 Pearl Harbor bombing, fueled demands for quick action against Italian, German, and Japanese immigrants presumed to have ties with enemy nations. President Franklin Delano Roosevelt immediately issued Proclamation 2525 aimed at Japanese residing in the U.S. In the ensuing days, two more presidential edicts, Proclamations 2526 and 2527, were issued to cover German and Italian immigrants. Cesare’s life would be dramatically altered on Dec. 8 when suddenly and without due process, (FBI) agents arrested him, leaving Corinne without her husband and their six-month old baby without his father. Federal Bureau of Investigation (FBI) director J. Edgar Hoover considered the removal of what he considered the most dangerous enemy aliens a high priority. Within a few days, on Dec. 16, a special train departed from L.A. for the internment camp at Fort Missoula, Montana. Grimaldi was processed at Fort Missoula on March 20, 1942 along with other Italian detainees. The Italians facetiously dubbed Fort Missoula “Bella Vista” (beautiful view). For duty assignments, the Italians manned the camp’s bakery, while the Japanese worked in the laundry. Thereafter, Grimaldi was transferred to Fort Sam Houston, Texas, where he stayed for two months before being sent to Camp Forrest, Tennessee. He was transported to Fort MacAlester, Oklahoma in September 1942. Immigration and Naturalization Service (INS) Los Angeles District Director Albert Del Guercio denied Grimaldi’s petition under provisions of Section 326, Immigration and Naturalization Service, National Immigration Act of 1940. Executive Order 9372. 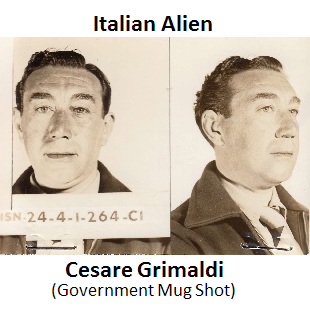 In short, Grimaldi was still considered an enemy alien. Despite the fact that on June 17, 1942, Lt. Gen. De Witt abolished the restricted zones in the Western Defense Command and allowed Italians to return to their homes, Grimaldi, like many Italian detainees, remained in custody. Throughout his confinement, Grimaldi continued to press for his release since he had committed no crime. He was eventually granted a rehearing, which was held at Tuna Canyon Detention Station in Tujunga on May 26, 1943. Sadly, the hearing officer ruled that Grimaldi’s detention would continue. Mussolini was ousted from power in the summer of 1943 with Germany’s occupying army in control. On Sept. 8, 1943, Italy surrendered to the Allies and began to assist in the Allied invasion against Germany. Grimaldi was released in October 1943 after spending almost two years in confinement. Following his release, he returned to working in the movie industry in L.A. while continuing his efforts to become a naturalized U.S. citizen. He was 50 years old when he was finally granted a pardon in 1953. Cesare passed away in March 1975 at the age of 73. Corrine lived to be 89 and died in July 1993. Cesare’s son, Gian “Gino” Grimaldi, grew up to become a television producer and director and is noted for television movies and for such series as Knightrider and Emergency! He currently lives in Los Angeles. 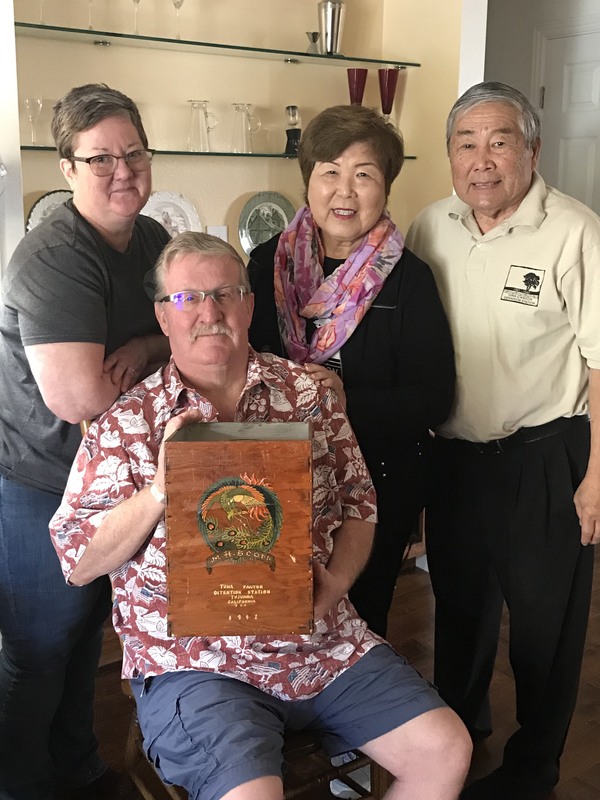 Award-winning journalist Ellen Endo, who is of Japanese and Italian heritage, is best known for having served as English Section Editor and Managing Editor for The Rafu Shimpo (Los Angeles Japanese Daily News), and currently heads her own communications consulting firm.